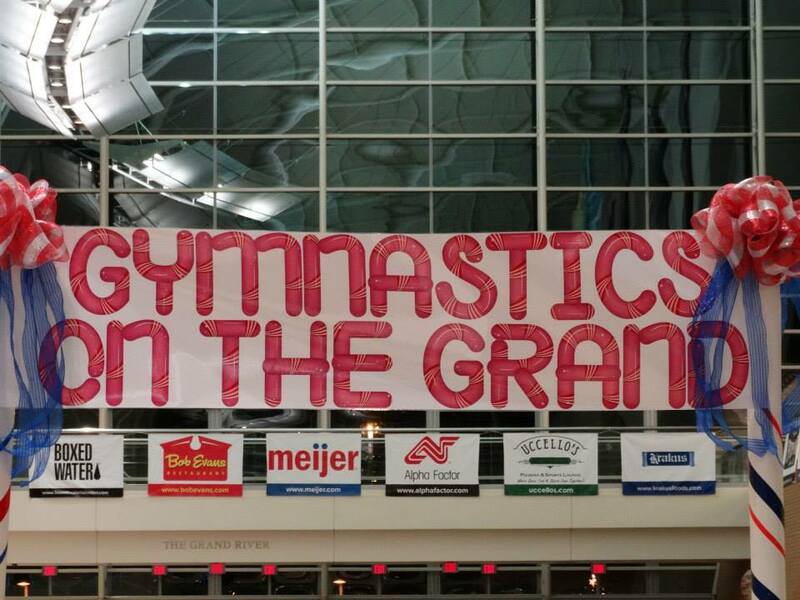 Thank you to all of our 2015 Gymnastics on the Grand Sponsors. The success of this event is due to your support and participation! Meijer is a Grand Rapids, Mich.-based retailer that operates 222 supercenters and grocery stores throughout Michigan, Ohio, Indiana, Illinois, Kentucky and Wisconsin. As a pioneer of the “one-stop shopping” concept, Meijer stores have evolved through the years to include expanded fresh produce and meat departments, as well as pharmacies, comprehensive apparel departments, garden centers and electronic offerings. For additional information on Meijer, please visit www.meijer.com. Follow Meijer on Twitter @twitter.com/meijer and @twitter.com/meijerPR or become a fan at www.facebook.com/meijer. The true imported Polish Ham. Krakus is authentic Polish Ham crafted with care and expertise in Poland. Krakus is cured naturally with only the finest hand-selected ingredients and recipes passed down through centuries. The result is truly delectable - a one-of-a-kind, mouthwatering taste only experienced with true imported Polish ham. Treat your family to the incomparable taste of Krakus, ideal for sandwiches, salads and other recipes. Krakus can be found at your local Meijer and Family Fare stores. Find recipes, info and other locations to buy Krakus Polish Ham visit krakusfoods.com. Whether you need wedding flowers, sympathy arrangements, or flowers sent "just because" we are ready to meet your needs! When you send flowers from Love Knots Floral, you are assured of sending the very finest. Offering wedding services to brides in West Michigan since 2001 and full service floral since 2011, we provide the highest standards for design, freshness, quality and service. Details and gallery at loveknotsfloral.net. MacAllister Rentals, formerly Titan equipment, is a locally owned and operated, full service equipment supplier specializing in rentals, sales, service, and parts. We carry a broad range of equipment: scissor lifts, boom lifts, rough terrain reach forklifts, industrial fork trucks, light towers, skid steers, mini excavators, floor scrubbers/sweepers, Kubota and John Deere rtv’s, and generators. Visit titaneq.com to learn more. For over 20 years, Gill Staffing has developed an outstanding reputation as the area’s leading employment agency. We are dedicated to connecting reputable companies with screened, well trained employees. Backed by an experienced and caring staff, we provide temporary staffing solutions in light industrial, clerical, professional, and contract staffing needs. Gill Staffing is a family-owned, Grand Rapids-based company with a continued belief in the people and economic success of West Michigan. Learn more at gillstaffing.com. Girls Love Glitter is an industry leader in custom transfers for gymnastics, cheer and dance. We offer the largest variety of original glitter transfers in the industry. Let us customize your glitter or simply purchase our stock designs from our website or vendor table at the meet. We carry quality, trendy and affordable brands like American Apparel, Alternative and Next Level. We can create the perfect package for your pro shop or event. Visit our website, girlsloveglitter.com for our full line or products and to see examples of items that will be available at Gymnastics on the Grand. Like our Facebook page, Girls Love Glitter, or shop our Etsy site, Girls Love Glitter. Korte & Kowatch is a full-service accounting and consulting firm providing family office services to high-net worth individuals and families with unusually complex financial affairs involving legal and tax-related concerns such as estate planning and tax compliance. For a complete list of services, visit korteandkowatch.com. Old National Bancorp is the largest financial services holding company headquartered in Indiana and ranks among the top 100 banking companies in the United States. Since its founding in Evansville in 1834, Old National has focused on community banking by building long-term, highly valued partnerships with clients in its primary footprint of Indiana, Kentucky, Southern Illinois and Southwestern Michigan. With more than 160 banking centers and and extensive network of ATM's, Old National offers banking convenience for your personal and business needs. Find a location near you at oldnational.com. With years of combined experience caring for thousands of properties in the greater Grand Rapids area, we at Rivers Edge have learned what it takes to maintain a property's manicured appearance. Our five step service plan incorporates all the elements required to maintain and enhance your property's value by appropriately caring for your lawn, planting beds, trees, bushes, and removing snow from your walks and lots in the winter. Rivers Edge also delivers professional landscape services for condos, private homes, commercial buildings and more. Inquire at riversedgegr.com. 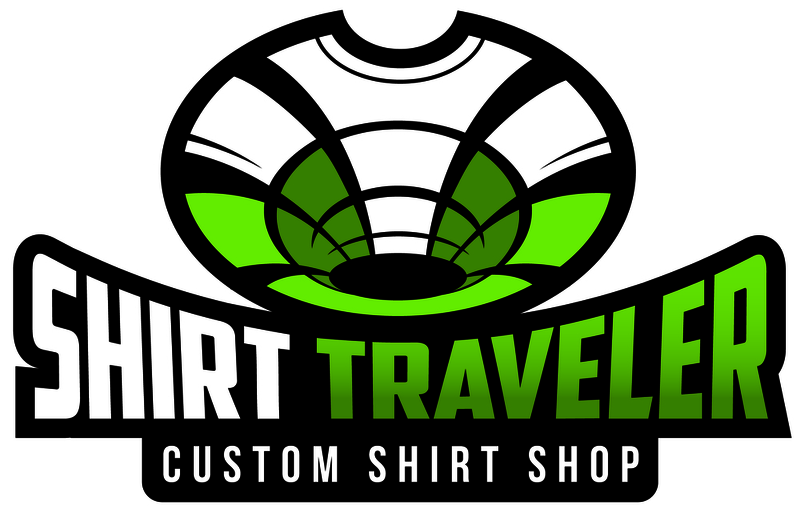 Shirt Traveler has over 15 years of screen printing experience and creates one-of-a-kind art and shirts for any event you may have, at any quantity you may need. Do you have an event you would like shirts printed for on the spot? We use industry leading print technology and design at every event we're a part of. We pride ourselves in amazing art, unmatched quality, fast production speed and giving everyone the highest level of service. For orders big or small, we're your go to shirt shop. Having shirts made for an occasion is supposed to be fun, so let's keep it that way! Visit us online today at shirttraveler.com or stop by and see us at our booth at Gymnastics on the Grand! Steenland Insurance has been proudly serving West Michigan for over 80 years. In its fourth generation of family owners. Steenland Insurance is your one-stop shop for all of your insurance policy needs - whether you need to protect your home, car, business or other assets. As an independent agency, Steenland Insurance can provide you with comparison ratings from over a dozen insurance companies and offers the best available price and service for the coverage you need. Payment plans are available. 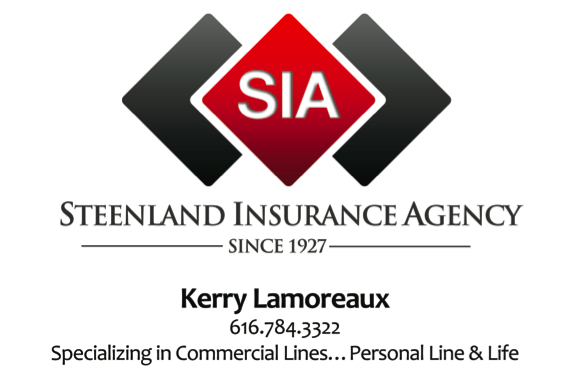 Fill out an on-line form for a FREE quote at steenlandinsurance.com. A local family run business since 1994, ETC…Printing is focused on providing products necessary for our Clients to manage & promote themselves in today’s ever evolving business climate. Our main offerings are in Print; Apparel & Promotional Products. Print: Business forms, brochures, booklets, etc…, Apparel: decorated shirts, fleece & outerwear, etc…,Promotional Products: pens, drinkware, tech products, etc… As the exclusive print partner of Gymnastics On The Grand, some examples of our work can be seen at the 2015 Invitational and also online at etcprinting.com. Key fobs, jewelry and hair ties. The Perfect Place is the perfect place to get your stocking stuffers! Like the Perfect Place Facebook page to see more examples of their best selling items. Medal hangers to display your athlete's medals and celebrate her achievements all year! Stop by our vendor booth at Gymnastics on the Grand to see all of the styles available. We are a husband and wife team of endurance athletes raising our family in Grand Rapids, MI, that like good tshirts. We found that comfy shirts in soft fabrics and a nice fit that said something simple about what we do and love were hard to find (even with all those tshirt shops out there). So after years and years of the casual discussion where we said, "we should make our own tshirts," we finally just did it. Because endurance athletes are ordinary people with extraordinary determination. Browse our selection and products at enduranceapparel.com. Our decadent gourmet cookie dough, pizza crusts, chocolates, caramel corn, lava fudge cakes, and signature cakes are handcrafted in our Grand Rapids, MI bakery and are available nationwide. If you are looking for a great fundraising idea, Savory Foods, Inc. has it! It's one of the most profitable & successful fund-raisers you'll ever have. Read through our online materials, watch our online video, ask questions, and get ready to set a sales record and hold a banner event for your organization with Savory Foods, Inc. Our website, savoryfoods.com has everything to get you started.